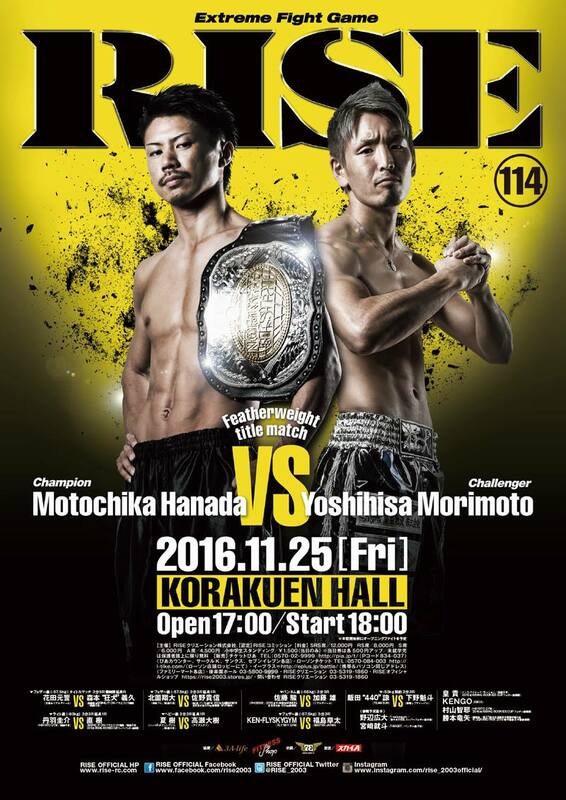 RISE 114 fight night is held on Friday, November 25, 2016 at Korakuen Hall, Tokyo, Japan. The event is the following collaboration of the WKN world office and RISE – Real Impact Sports Entertainment. Cyril Pazitny aka ‘Little Big Man’ of Slovakia is taking part at RISE 114 under the management of the WKN. The event is headlined by Motochika Hanada in defense of his promotion’s inaugural title against Yoshihisa Morimoto. Pazitny is the current national kickboxing champion of Slovakia. His latest bout in September featured on the main card at the Battle of Saint Raphael IV fight night in France. He took the first round stoppage victory over Michel Teixeira. At RISE 114 Pazitny is facing off the current RISE champion Kouda Nove. The bout is scheduled at 3 by 3 minute rounds in the featherweight class.